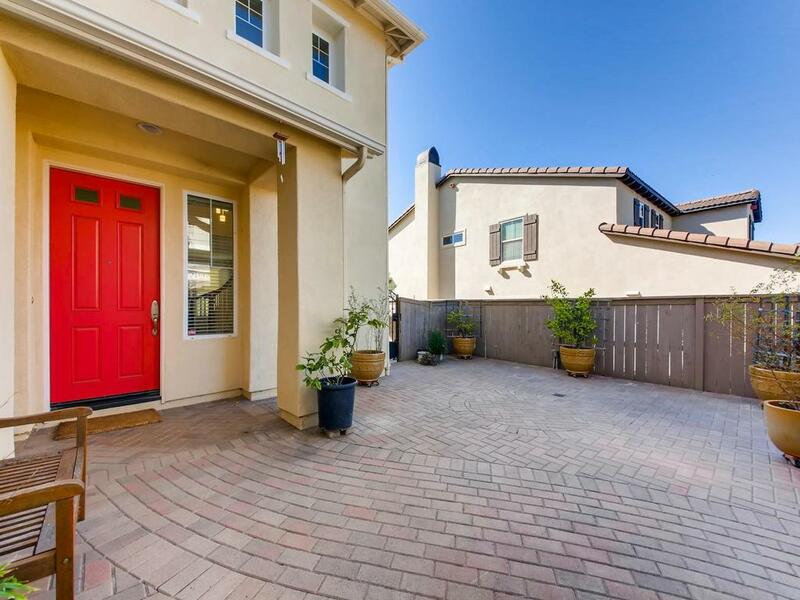 3405 Corte Brezo, Carlsbad, CA 92009 (#190014209) :: Ascent Real Estate, Inc.
Gorgeous luxury home in the desirable La Costa Oaks community featuring an entry level bedroom/bath + 4 upstairs bedrooms incl. the large master w/huge bath & expansive view balcony that runs nearly the full length of the home! 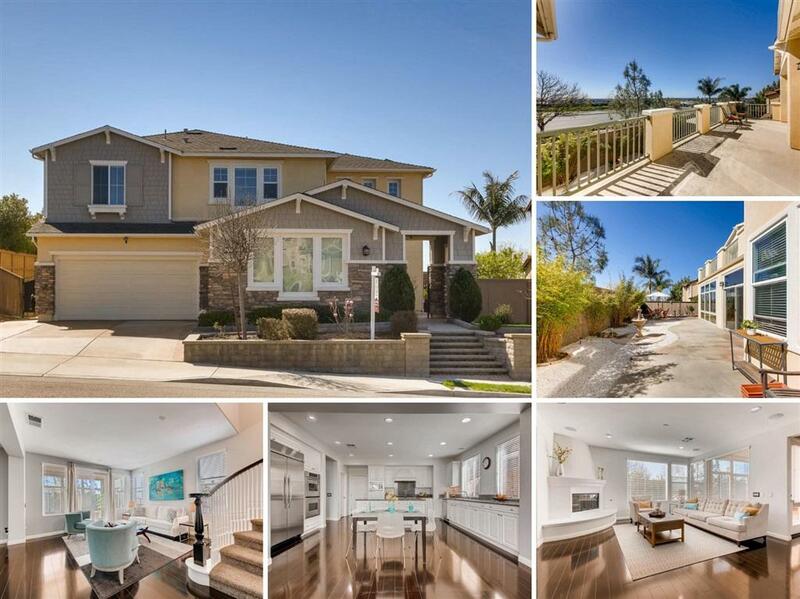 Exceptional upgrades incl: beautiful espresso wood flooring, home theater surround sound, stunning gourmet kitchen & separate dining/living rooms w/direct access to the light-filled California sun room! Equipped w/5.8K SOLAR & 3 car garage w/electric vehicle supercharging system. Entertaining offers between $1,099,000 - $1,108,000 ** LOW HOA & LOW MELLO-ROOS (approx. $800/Year)! 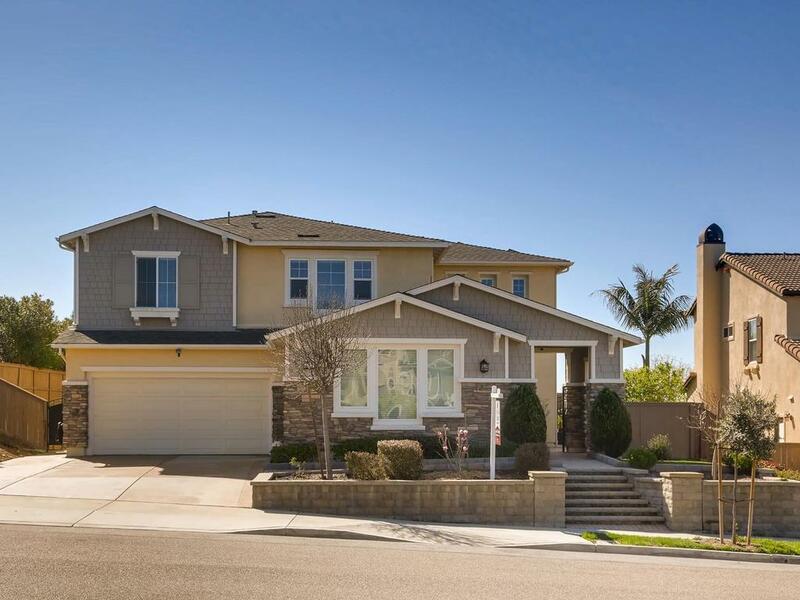 Immaculate 5 bedroom home in the highly desirable La Costa Oaks community, loaded with fantastic upgrades! This home offers a private courtyard entrance with Belgard pavers, plus a recent exterior makeover. The bright and open floor plan has separate dining/living rooms with direct access to the light-filled California sun room (with tons of windows to let the California sunshine in) + an entry level bedroom/bath, beautiful espresso wood flooring throughout the 1st floor, and spacious family room with stunning fireplace and home theater surround sound. The open gourmet kitchen offers granite counters, large center island, double oven, stainless steel appliances and upgraded white cabinetry. 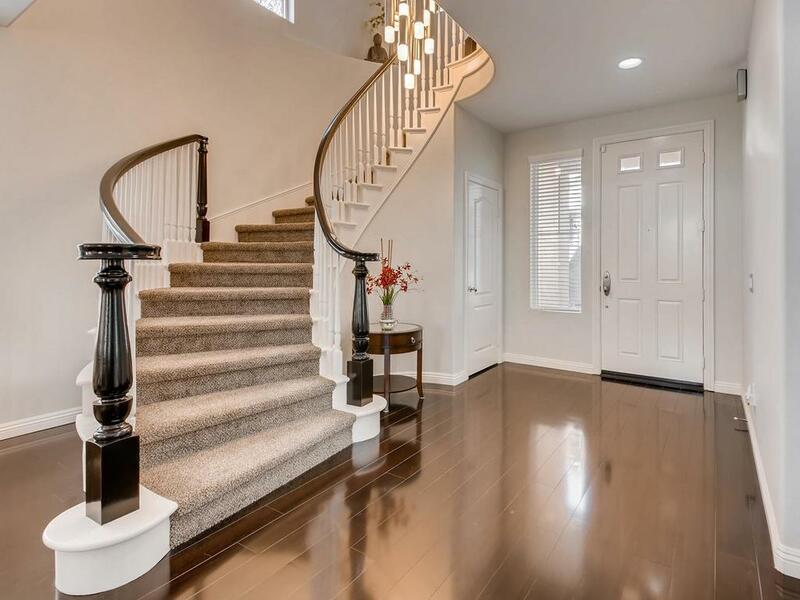 Upstairs you will find 4 additional bedrooms, including the master with HUGE master bath featuring a large oval jetted tub, separate vanities, walk-in closet, and expansive view balcony that runs nearly the full length of the home! Equipped with 5.8K PAID SOLAR and 3 car attached garage with an electric vehicle supercharging system with 220v quick charge in about 4 hours! Enjoy the amazing La Costa Oaks community amenities, offering 2 pools, spa, clubhouse, fitness center & hiking/biking trails and close by to La Costa Town Center with shopping, dining and more. Desirable Encinitas/San Dieguito School District. LA COSTA OAKS: Residents have full access to the La Costa Oaks clubhouse, fitness room, pool & spa. Close to hiking trails, town center, top schools & more! Room dimensions & sq footage are approximate, per builder & assessor's record. Mello-roos is estimated.